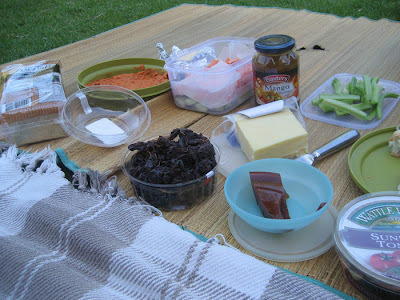 Sarah Cooks: Picnic on a sunny day. Or "Get that damn swan away from me!" Um, SCARY! 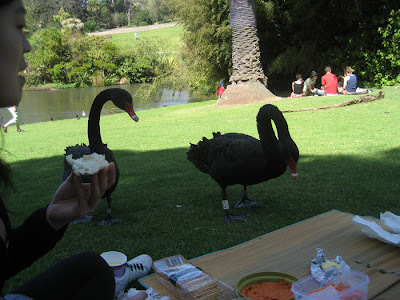 Those swans were *way* too close!! They're mean! 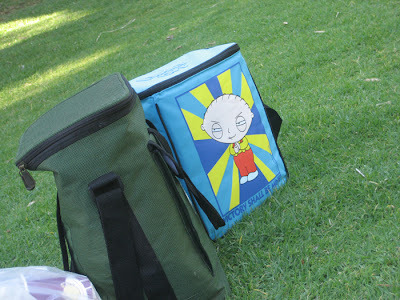 Your picnic looks great. Glad you all got away with limbs intact. I recognised that exact spot immediately I saw the photo. 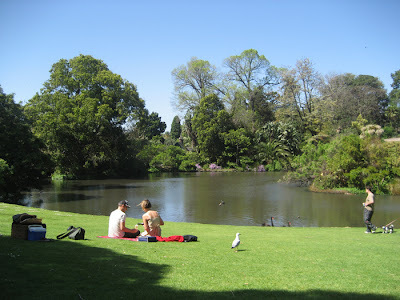 The Botanic Gardens are probably the best spot in Melbourne for a picnic and that lawn is the pick of the locations. 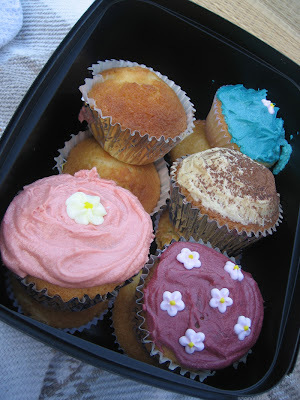 Shame about the swans!